Queens, NY (April 11, 2019) – The off-duty NYPD officer who was sadly killed during a motorcycle crash that occurred on Laurelton Parkway Thursday morning, April 11th, has now been identified by authorities. Police stated that 42-year-old Marc St Arromand, of Elmont, tragically lost his life in the crash which took place between Linden Boulevard and Merrick Boulevard at around 5:30 a.m. Authorities who have investigated the incident stated that Arromand had been traveling south along Laurelton Parkway when he may have lost control of his Yamaha motorcycle. Arromand was ejected from the bike and hit a guardrail before he was then struck by a Chevrolet Camaro. Emergency medical crews were dispatched to the scene, where they found Arromand unconscious and suffering from severe head and body trauma. He was taken to Long Island Jewish Valley Stream Hospital, where he was pronounced deceased. The driver of the Camaro remained at the scene and no charges have been filed at this time. Authorities stated that Arromand, who had been a Highway Patrol Officer, was on the force for 16 years. He is survived by a wife and five children. Our most genuinely heartfelt condolences are wholeheartedly extended to the loved ones of Marc St Arromand, first and foremost. 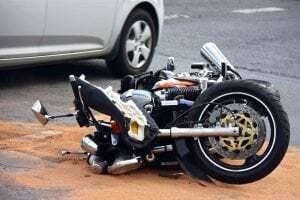 Motorcycle accidents in New York are frequently injurious or fatal, particularly those which occur at a high rate of speed, as there is little to no protection between the vehicle and the cyclist. While it can be terribly challenging, it is important for the bereaved family to understand that they may have significant rights at this time. Our New York accident attorneys at Hach & Rose have dedicated their lives to helping those who have suffered due to the actions of another party or other negligent entity such as a manufacturer. We realize that there is nothing as overwhelming as the sudden loss of a family member and we are here for you 24/7 to answer any questions you may have. If you have lost a loved one in a motorcycle accident due to no fault of their own, please do not hesitate to call 212-779-0057 today.